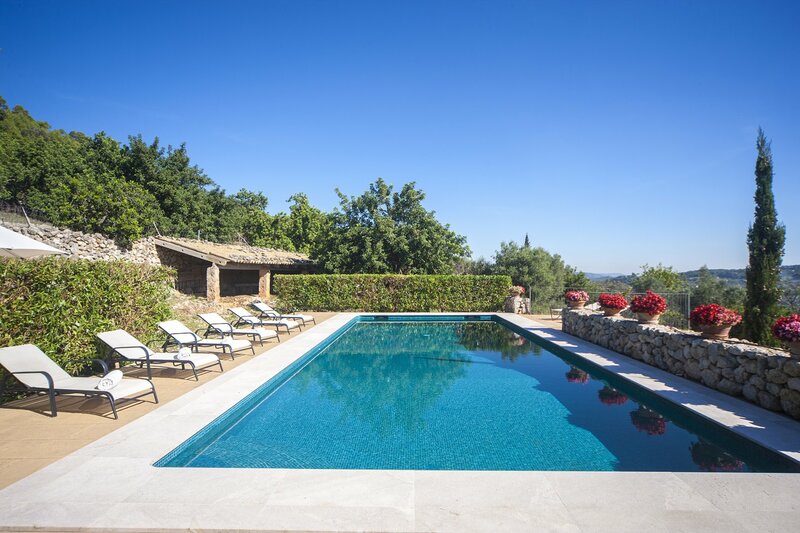 Located on the edge of the beautiful village of Selva, Can Arnau sits on a little hill giving it unrivalled views of the village to the south, the mountains in the west and the distance in the north, the coast. The villa boasts 6 beautifully presented bedrooms, all with ensuite facilities, a big, modern kitchen and 4 large reception rooms. The villa is actually 2 properties that over the years have been developed into one. Dating back to the middle of the 18th century, the original part of the finca is bursting with character, with its thick walls ensuring that you will stay cool in the summer, and even an original bodega! 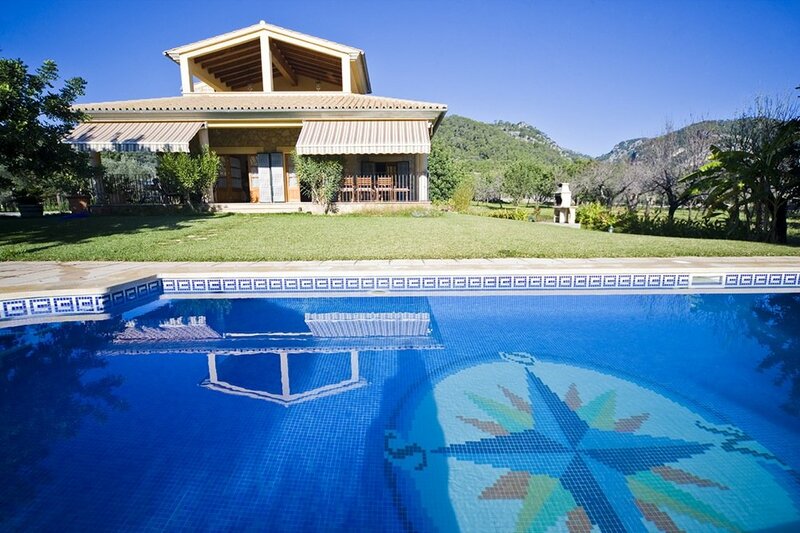 Can Arnau really is the perfect place to get away, relax and recharge your batteries in luxury and tranquillity. The modern part of the house was built in the 20th century and the whole house was fully refurbished in 2004, ensuring the villa now has all the modern amenities that a 21st century house can be proud of. The property has air-conditioning throughout and guests can enjoy the property all year round as the villa also has central heating for the cooler months. The grounds of the property stretch over 35,000 sq metres (c. 8.5 acres) mostly filled with beautiful almond groves, which seem to go on forever and are at their most beautiful when in full bloom. 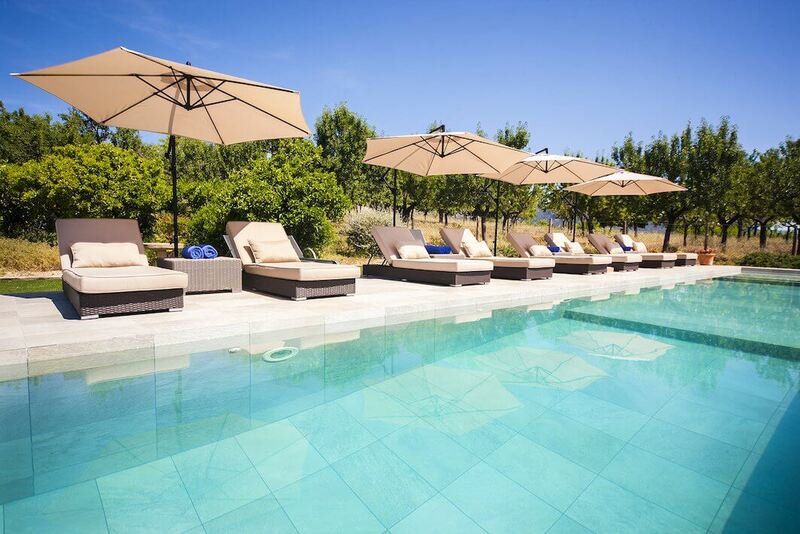 Son Arnaus surrounding gardens are beautifully manicured and boast large terraces including an outside bar, infinity swimming pool measuring 14m x 5m with stunning views over the valley beneath you and comfortable sunbeds. The house is now available, on request, for up to 16 persons with 8 bedrooms and 8 bathrooms.